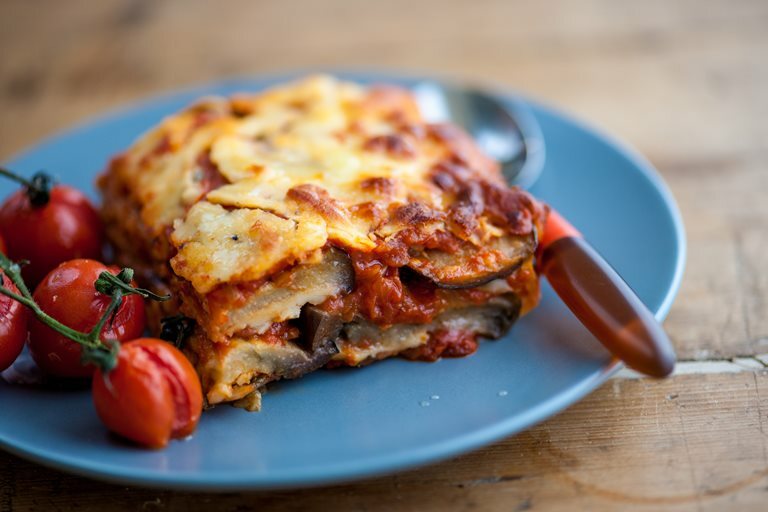 This simple aubergine parmigiana recipe from Marcello Tully makes a cosy mid-week meal. Serve this cheese, tomato and aubergine bake as a hearty side, or as a main meal in its own right with some wholewheat garlic bread and a peppery rocket salad. Parmesan, which is made from animal rennet, is not strictly vegetarian, so if preparing this dish for meat-free guests remember to check with them in advance — vegetarian alternatives are available if they'd prefer.